67 major currencies updated daily! The Spring Sweepstakes Is Now Closed! Congratulations to the following winners in the World Class Antiques Spring Sweepstakes 2016. 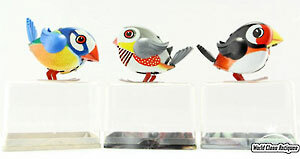 Enjoy your Lehmann Wind-up Tin Bird! The winners will be contacted by email or phone to confirm shipping information. Read "What Was Old Is New Again!"